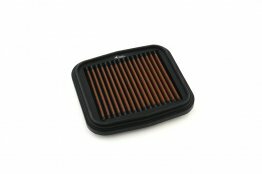 Stock O2 sensors? Exhaust type? Upmap already installed? Etc? 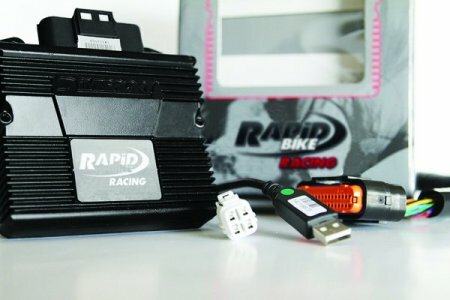 The Rapid Bike RACING ECU Tuning Module includes the Rapid Bike Racing module, USB cable and model specific wiring harness. The Rapid Bike Racing kit is the perfect tuning solution for those that demand the most out of their motorcycle. Based on the ever popular Rapid Bike EVO kits, the RACING kit offers the same auto applying auto-tuning function that the EVO unit does. The main difference is that the RACING unit allows you to take control of even more parameters to get the best tuning and performance out of your bike. From track day enthusiasts to full race teams, the Rapid Bike RACING unit offers incredible tuning opportunities. From custom fueling to timing adjustments, the RACING unit is designed for competition use. The Racing module’s most important benefit is, the Auto-adaptive feature, that is the ability to correct the injection map adjustment by reading the signal of the stock O2 sensor (lambda) while riding the bike. This auto tuning function takes place while you ride, and does not require that you load a new "map". When riding the motorcycle, the self-adaptive auto tuning feature determines the automatic self-correction of the air/fuel ratio maps: this active management is added up to the pre-set parameters. The adjustments set by RapidBike module improves the engine efficiency in order to reach the best performance.The self-correction process is set in multipoint technology according to RPM and TPS, for the whole range of the engine working, even when the original RPM limiter is raised (when available). The range of injection’s adjustments is from -100% to +150% of the stock injection time. Can also be adjusted manually during dyno tuning. Ignition timing is static, and the map is pre loaded for the specific module. Initial maps are made for stock engine and stock configuration for the most part. If the bike uses a modified engine, anything other than pump fuel, the provided map will not be accurate and in this case it is recommended to get the bike on the dyno and establish a custom Ignition map. 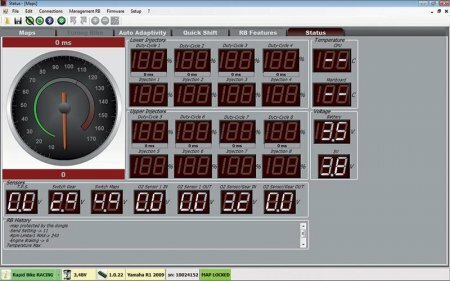 QUICK SHIFT READY , Racing systems are quick shift ready which means no need to buy additional modules. 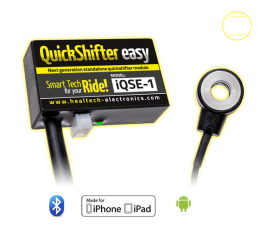 All you need is to add the Rapid Bike quick shift sensor for the bikes that are not equipped with quick shift function from the factory. 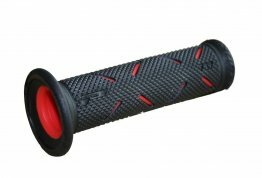 Why Rapid Bike RACING unit over Rapid Bike EVO units? Properly mapped ignition timing can be very helpful especially with the low and mid range torque. 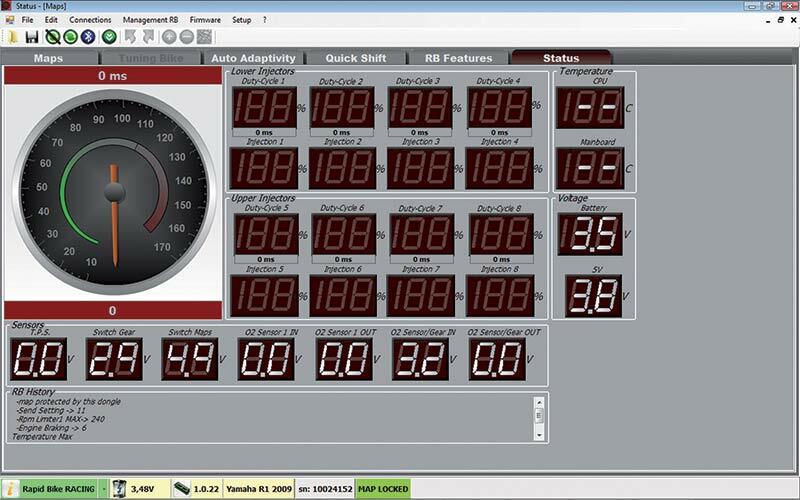 The RACING unit allows for manual manipulation of almost all tuning parameters. Running Race fuel or a modified engine? 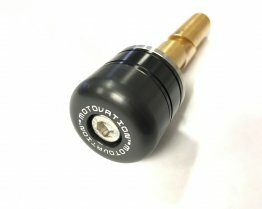 The stock ignition timing can be adjusted on the dyno using the RACING unit. Timing adjustments can compliment the modifications and the exotic fuel being used. One of the best futures of the RACING module is making "Engine Braking" adjustments on the bike models that offer this. This is especially very valuable among the track day riders and racers. Note: Rapid Bike Master software is included with each purchase and always available. Download instructions are included with your kit. 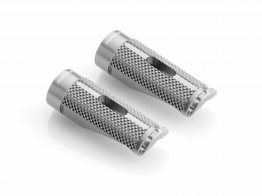 Note: These RACING units are designed for closed course racing applications. An experienced tuner and dyno facility are advised for optimal results. For a more standard street and track use application, check out the Rapid Bike EVO unit.